Now when a new gimbal is released I'm not actually concerned about what the footage will look like. The reason for this is because pretty much any current gimbal on the market right now will produce the goods. I have yet to use a bad gimbal and the latest flagship from Feiyu-Tech is yet another brilliant addition. The Feiyu-Tech AK4000 is a larger gimbal designed for larger cameras systems. 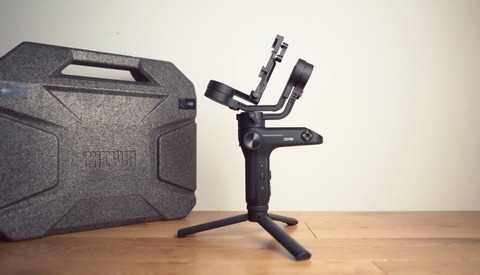 In my last review, I talked about how the Zhiyun WEEBILL Lab was a great gimbal but only designed for smaller set-ups. 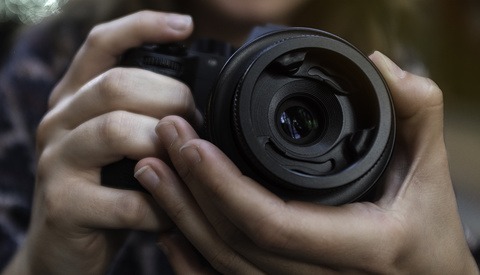 Some of you were disappointed at the fact that the Weebill Lab couldn't balance lenses like the Sigma 18-35mm f/1.8. Fortunately, the AK4000 is more than capable in that regard. With a weight capacity of up to 4.0kg, this gimbal offers a great deal of flexibility when it comes to those larger heavier camera set-ups. 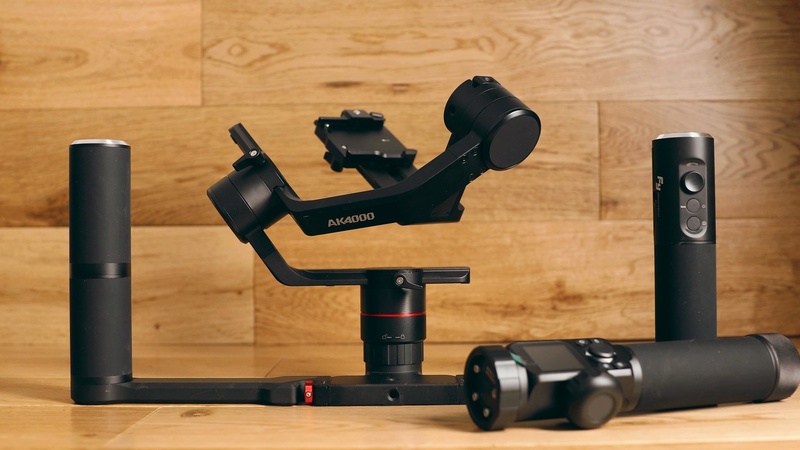 The design of the AK4000 is not very different from many other gimbals on the market. 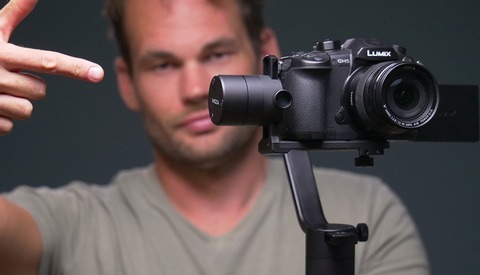 A simple long handle with the gimbal head on top. I don't think there's anything wrong with this particular design although other companies have started to use varying styles which have their respective advantages. Compared to the previous flagship the A2000 gimbal, the AK4000 is noticeably heavier and larger. I can appreciate the fact that this may have been required in order to almost double the weight capacity, however, appreciating this doesn't make the gimbal any easier to handle for long periods of time. Aside from the weight and size, the AK4000 is a significant upgrade from the A2000. The controls and dials are much more refined and well thought out. The full touch screen, for example, is a fantastic and useful addition. 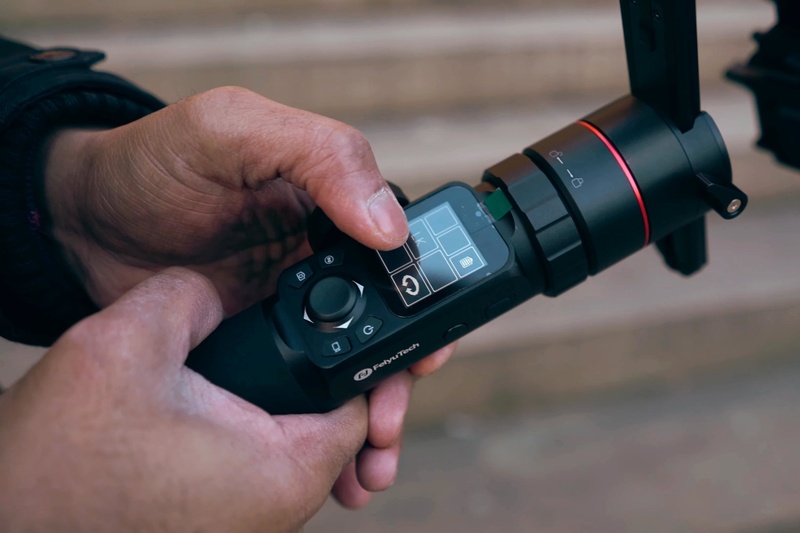 This touchscreen allows you to quickly change settings without having to fiddle about with tiny buttons like so many other gimbals. One of my biggest annoyances is the primitive menus and the tiny buttons in so many other gimbals and Feiyu have addressed this issue really well. The joystick is another thing that I think has been really well designed and implemented in this gimbal. Unlike many other gimbals I've used, it's large enough for it to be used effectively. The A2000, for example, has a much smaller joystick and this prevented me from being able to use it properly and get precise, smooth movements. The larger surface area allows your thumb to rest on it properly too. The back motor also no longer blocks the back of the camera screen when mounted. When I used to film with the A2000, the back motor would almost always come in the way and prevented me from seeing the composition properly. This meant I had to redo many shots just because the composition was slightly off and it made the whole gimbal less practical. Shooting with cameras like the Canon 5D Mark IV means that you don't have a flip-out screen and the AK4000 now does not block your view. My favorite new addition to this gimbal is the new control wheel, Sure this is available in many of the new gimbals but I find the one on the AK4000 is just a lot nicer to use and much easier due to being able to quickly change settings using the touchscreen menu. The control wheel on the AK4000 is very smooth and allows you to produce equally smooth looking footage. This is an area where the AK4000 does suffer a little. Balancing the gimbal, for example, isn't any easier than the previous models and it's much trickier than several other current gimbals that I've used. The main reason for this is because this gimbal does not offer any lock mechanisms and I think it's in dire need of some. Lock mechanisms that are available in gimbals like the Weebill Lab and even the Moza Air 2 make them very easy to balance correctly and quickly. The AK4000 however, requires more effort and time to balance correctly and this is something that I found a little frustrating. My biggest annoyance with this gimbal was that the release lock on the back motor was super stiff even when completely loosened. This made balancing the gimbal even trickier and precise smaller movements were not really possible when balancing. I also find that the weight and size of the gimbal to be a little preventative when it comes to longer shooting situations. Then again, several other Fstoppers writers do call me noodle arms. Other than issues with balancing the gimbal I found the overall usability to be quite wonderful. As discussed above, aspects like the control wheel, the touchscreen, and the longer handle make the AK4000 a pleasure to film with. Every current gimbal that I've used in the last year has been fantastic when it came to the footage. I don't think this is now a differentiating factor among any gimbal and you can be confident that any gimbal you buy now is going to produce the goods. Footage from this gimbal is no different in that regard and it produces fantastic looking clips. Certain techniques need to be implemented when filming with this gimbal similar to any other gimbal and you can be sure that you will be left with footage that's going to be really smooth and have that cinematic look. All of the B-roll that was shot in the video above was achieved with the AK4000 and no post stabilization was added. 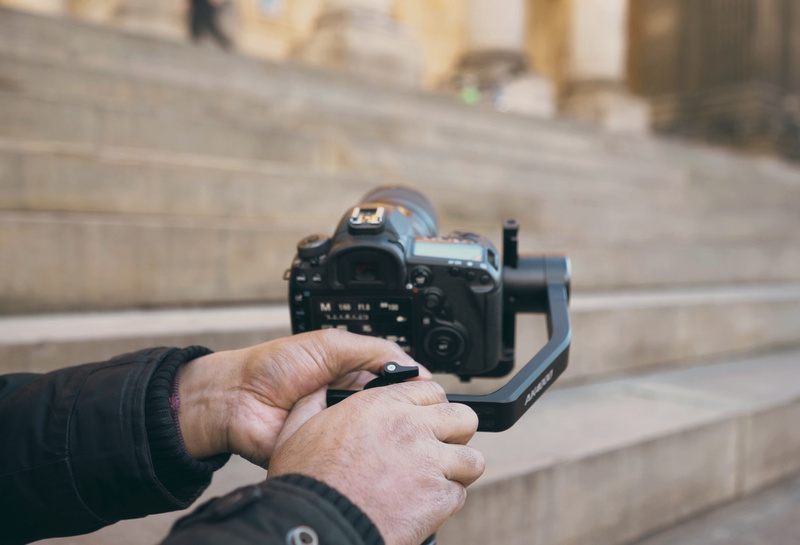 At this stage, the only things I would suggest you look for in a gimbal are some of the other features and benefits that you think will suit your needs. The reason I say this is because the footage you can produce is pretty much as good as it can get. My biggest issue with this gimbal is the lack of backward compatibility. The A2000 was a gimbal that offered a dual-handle grip which I thought was incredible. The dual-handle grip on the A2000 wasn't just a poorly thought out metal handle that you attach to the handle, instead, it was a fully functioning handle with electronic contacts, joystick, and extra screw mounts. This was one of the biggest differentiating factors for Feiyu-Tech because almost every other manufacturer offered a half measure. I say this because the older dual-handle was had a relatively small form factor and allowed you to produce much smoother looking footage without breaking your back. It also allowed you to practically mount the gimbal onto a tripod if you wanted to shoot time-lapses or simply film on a tripod. I absolutely loved the dual-handle grip and it's a shame that the AK4000 is not compatible. The worst thing about this is the fact that I don't see any reason why they can't be compatible. They both operate using the exact same electronic contacts and the AK4000 can be mounted and powered on with the older dual-handle grip. This leads me to believe that it's a simple matter of firmware incompatibility and they could be compatible if Feiyu-Tech simply allowed this. 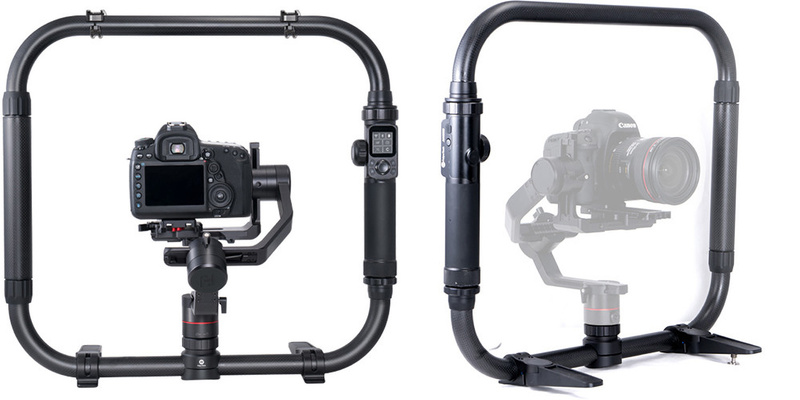 The current dual-handle system that Feiyu-Tech have available for this gimbal is significantly larger and supposedly the more professional option. I can appreciate that there are benefits to having the larger dual handle system, however, you can't mount this onto a tripod effectively and transporting it anywhere requires more effort. I just don't see why the AK4000 can't be compatible with both dual-handle systems as this would allow far more flexibility for many creatives. I understand that this could be described more as a personal preference because I'm not certain that it will affect everyone that wants to potentially buy this gimbal. Even still I think this is an artificial limit that could be rectified if Feiyu-Tech simply allowed it. Weight capacity of 4kg allows you to mount your larger camera systems. The super smooth control wheel. A simple and easy to use menu system. The larger joystick and long handle make it much easier to use. Not backward compatible with previous dual-handle grip. A little difficult to balance. The weight and size make it a little unwieldy for longer shoots. Ultimately this is still an incredible gimbal which will produce fantastic results. Many of the criticisms that I outline are not significant in real-world use and therefore I still recommend the gimbal. Sure I have my personal thoughts about the older dual-handle grip however, I'm optimistic because Feiyu-Tech is known for rolling out meaningful firmware updates. If you're someone who films using larger camera systems or with longer heavier zoom lenses then this might be a brilliant option for you. Check out the full video linked above to see how the gimbal performs. Great review! I currently have the little brother the AK2000 for my Canon APSC rig and my Panasonic setup. Does everything I need it to in a lighter setup at a price a bit cheaper than the WEEBILL Lab or Ronin S.
I've heard some really good things about that gimbal and I imagine the smaller, lighter form factor is very beneficial.